Welcome to Jumbo Mortgage Source, we are a leading resource specializing in Jumbo home loan information nationwide. Please check the pages above anytime to learn more about the Jumbo purchase and refinance benefits currently available. Borrowers that have questions are encouraged to contact us 7 days a week at Ph: 800-962-0677. 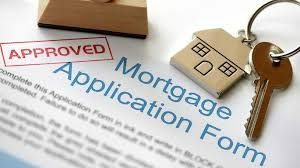 A jumbo mortgage is a high balance loan that exceeds the standard conforming loan limits established by entities like Freddie Mac and Fannie Mae. In most locations, the current conventional loan limit in 2019 is $484,350. Select high-cost locations in parts of New York, Colorado, South Florida, San Francisco, Los Angeles California, DC and the North East have higher conventional loan limits up to $726,525. Any loan amount exceeding these conforming loan limits would be considered a jumbo loan. Jumbo loans are a great way to purchase a higher priced luxury home or refinance a larger mortgage. If you have manageable debt-to-income ratios, higher credit scores and at least a 5% down payment, the jumbo loan program may be right for you. We encourage you to reach out to us by calling the number above or submit the Quick Contact form on this page. Mobile users will find the Quick Contact form down below. Financing up to 95% loan to value – only a 5% down payment required for loan amounts under $2,000,000. This low down payment Jumbo program is very popular among Doctors, Physicians, and Attorneys. Most programs do NOT require private monthly mortgage insurance or “PMI” This alone will save borrowers $375 per month on average. Depending on the property state, most home buyers have the option of a single loan or “piggyback” combo loan option like the 80/10 or 80/15 – first and second mortgage combo option. Adjustable rate (ARM) 3/1, 5/1, 7/1, 10/1 and 30, 15-year fix rate terms available. No pre payment penalties on any Jumbo loan options. Move and sell your home anytime without an early payoff penalty. Pre-approval and qualifying are simple and often take less than 20 minutes. Full income documentation required for all programs. This includes pay stubs, two years of W2, and/or tax returns for self-employed 1099 applicants. Asset documentation will be required – generally previous two months asset statements. Lower credit scores down to 660 can be approved with 10% + down payment. 95 percent financing is only available on primary owner-occupied and second (vacation) homes. Loan amount limit for 5 percent down payment option is $2,000,000. Read more options under the Jumbo Purchase page above. Investment properties are also permitted but require a minimum 20% down payment, 80% LTV max. Single Family, Town Homes and select Condos only. This includes newly constructed spec homes being sold to you directly by the home builder. Only existing homes in overall good repair, overall decent move in condition. Lot loans, rehab homes, acreage, not permitted. Construction financing is permitted with special requirements. Please read about Jumbo loans for new construction. Please learn more about all Jumbo financing options under the Jumbo Purchase page above. Questions? Please call Jumbo Mortgage Source today or just submit the Quick Contact form on this page for expedited service. We try to respond to all submitted requests within 10 minutes during normal business hours. Jumbo Mortgage Source is happy to assist luxury home buyers nationally including all major markets: Atlanta, New York, Los Angeles CA, Miami, Chicago, Houston, Phoenix, Philadelphia, San Antonio TX, San Diego, Dallas, San Jose, Detroit, Jacksonville , Indianapolis, San Francisco, Columbus, Austin, Memphis, Fort Worth, Baltimore, Charlotte, Austin, Boston, Seattle, Washington, Milwaukee, Denver, Virginia Beach, DC, Miami , Greenwich, Stamford, Tulsa, Honolulu, Minneapolis, Colorado Springs, Grand Rapids, Wichita, Raleigh, St. Louis, Tampa, Orlando FL, Louisville, Las Vegas, Nashville, Oklahoma City, Portland, Tucson , Albuquerque, Santa Fe, Scottsdale, Tempe, Sacramento, Kansas City , Cleveland, Cincinnati, Pittsburgh.